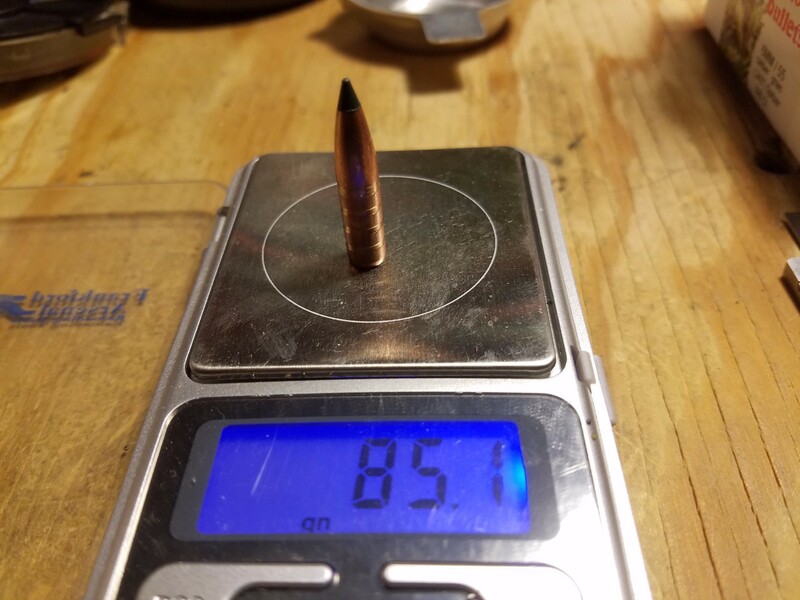 I picked up some 85 grain copper that were part of a mix batch of pulled bullets. These appear to be pulled from Federal Trophy. They are longer than the 100 grain bullets I have. Any Idea on were to start? 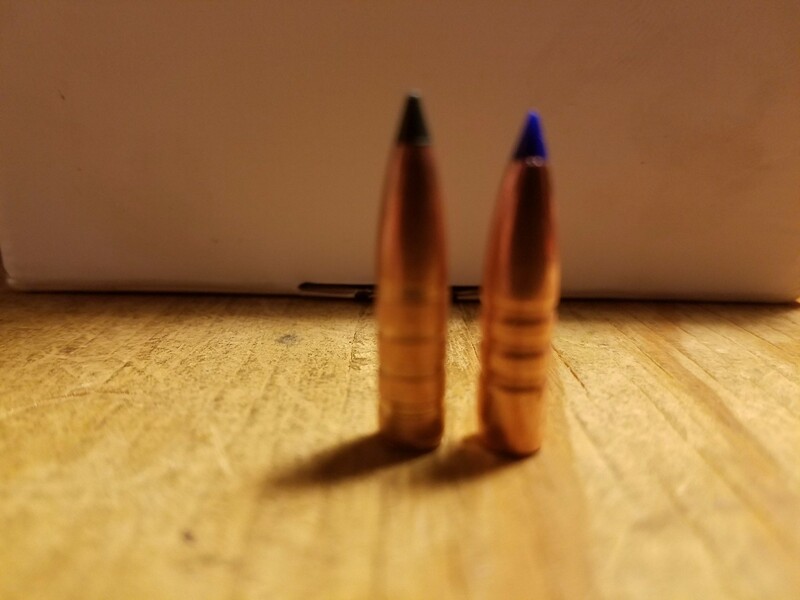 I was thinking they needed to be loaded similar to the longer 105 grain bullets. Thank you. I haven't tried 1680 in the Mongoose. That load sounds like something I would do in the wolverine. 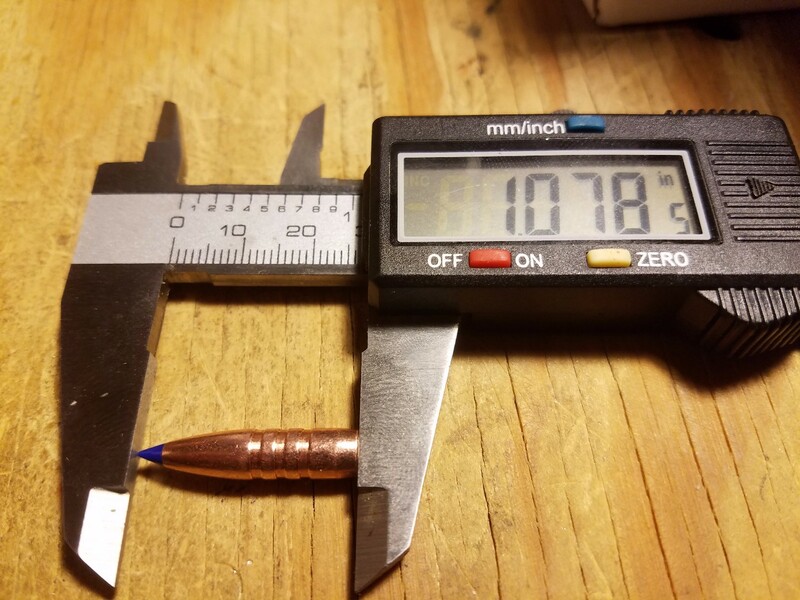 To fit in the magazine, I had to set it to 2.24 inch. Just a lot of bullet there. 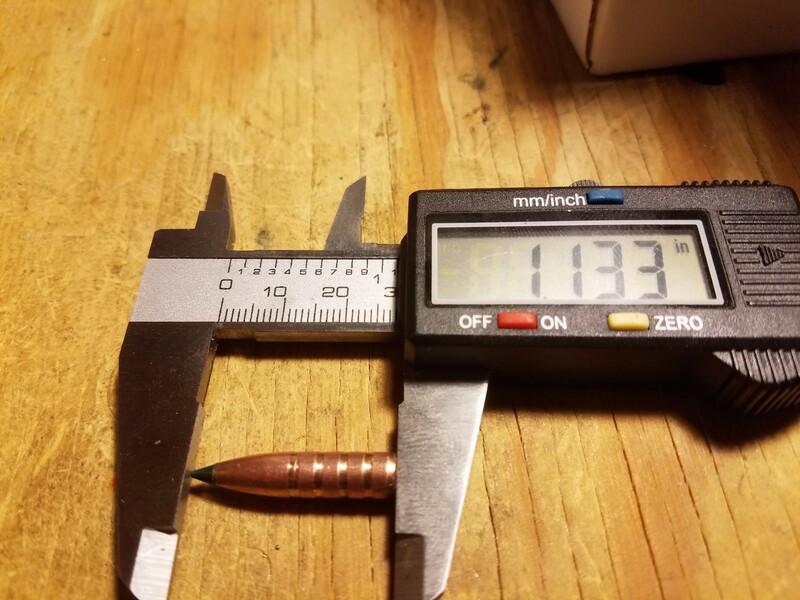 Below is a photo of a dummy round with the 85 grn and 2 different 100 grn bullets. for that bullet h335 or cfe 223 would be the powders in the mongoose. ql shows max with h335 might be around 24.9 grains i would start at 22.9 and work up. for cfe it says max is around 27.1 and it is compressed. i would start at 25 grains. i used 2.24 inches for oal on the run. Hit the range today,and of course, we have a storm front moving in which means wind. It started as soon as I got set up, so no good accuracy results. But, I did get to run them through the chrono. I did 5 loads of each powder, .3 increase each round. The primers all looked good and I could have kept going. Both did good, the H335 was faster, and seemed more consistent, but seemed to level out velocity wise. The CFE 223 was compressed, but showed no signs of pressure. Thank you BIGGDAWG for the help.